Neck Size: 2" or 3/4"
We manufacture 22mm ROPP caps of aluminium for leading pharma companies. Contact us to get the lowest rate. Securely crimped over the Tri-Sure flange and plug, Tab-Seal Caps are available in 2" and 3/4" sizes and incorporate a 'flowed-in' compound gasket. Owing to the wide experience in this domain, we are instrumental in offering Perfume Plastic Spray Cap to our clients. We are the leading manufacturur of Plastic Bottle Caps. 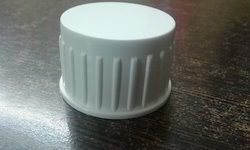 We can supply Flip Top Caps in different sizes and colors. Available Ropp Caps printed in multi colours for tin container, glass and plastic bottle sealing. : We offer a wide range of aluminum caps that can be availed in plain, printed and embossed designs from 20mm, 22mm, 25mm, 28/18mm, 28/22mm, 31.5/18mm, 31.5/22mm, 38mm, 46mm, 53mm, 29.5/35mm, 30/44mm, caps diameter. 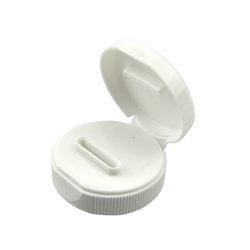 These durable aluminum caps are widely used in various industries for sealing bottles. These days, more and more products are packed in pet bottles and containers. Whether they be beverages, food, or other products, pet bottles and containers are the preferred storage choice. They are cheap, easy to store, easy to handle, and easy to transport. Most importantly, they are easy to recycle.